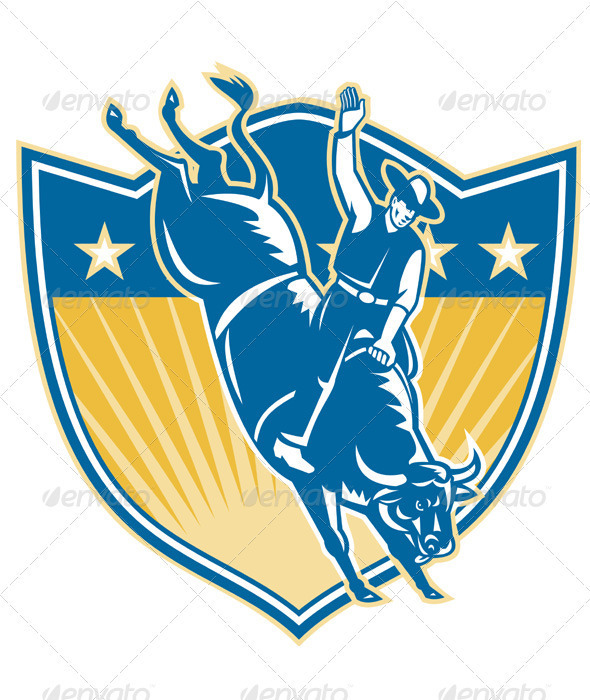 Illustration of an american rodeo cowboy riding bucking bull set inside shield crest with stars and stripes in the background done in retro style. Editable EPS8 (you can use any vector program), JPEG and Transparent PNG (can edit in any graphic editor) files are included. 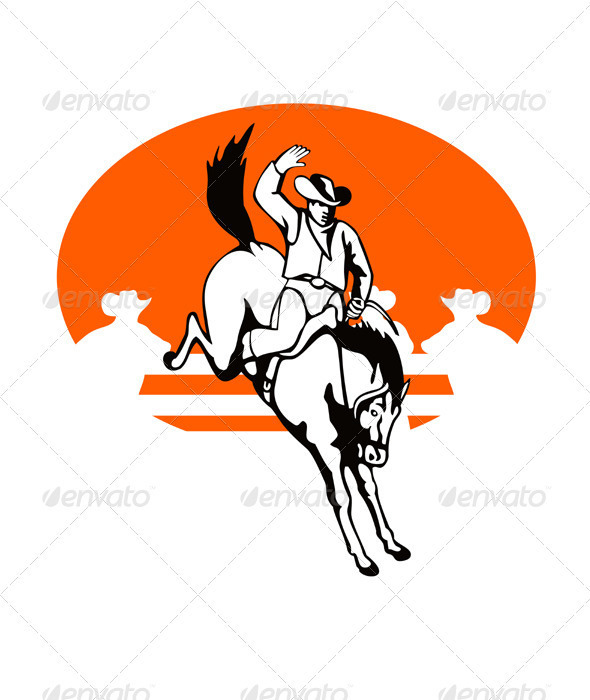 Illustration of a american rodeo cowboy riding bucking jumping bull with stars sunburst and shield in background done in retro style.